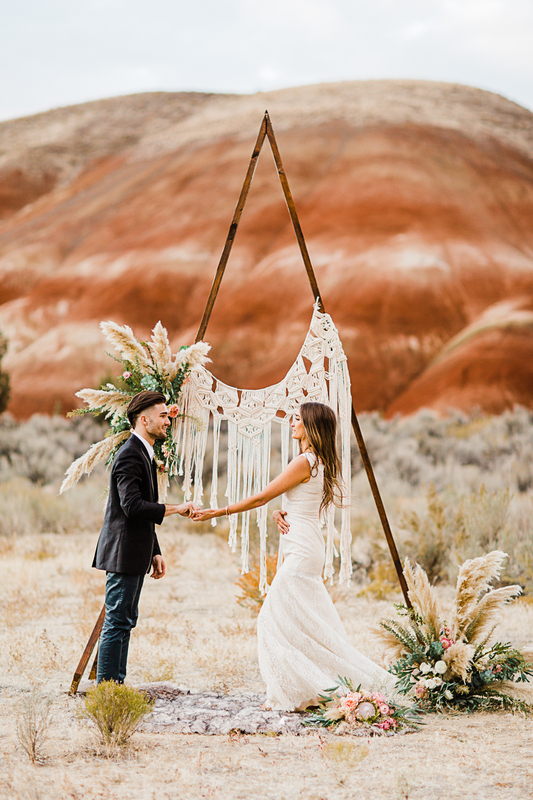 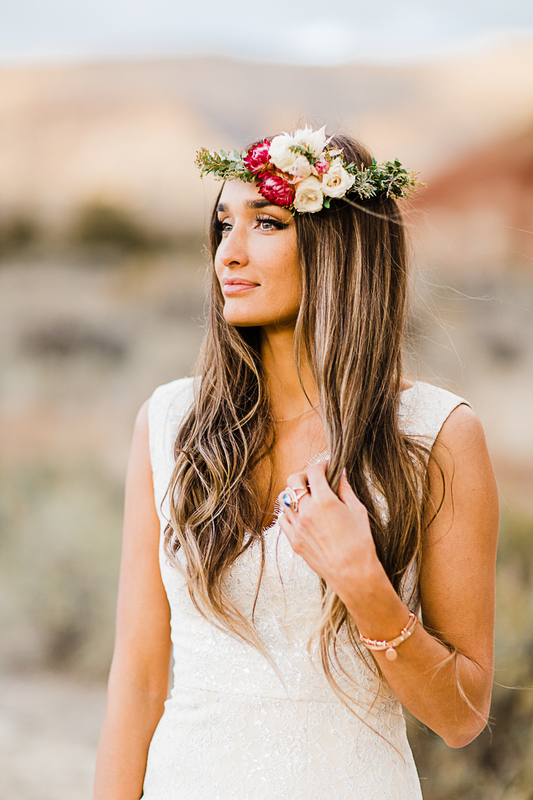 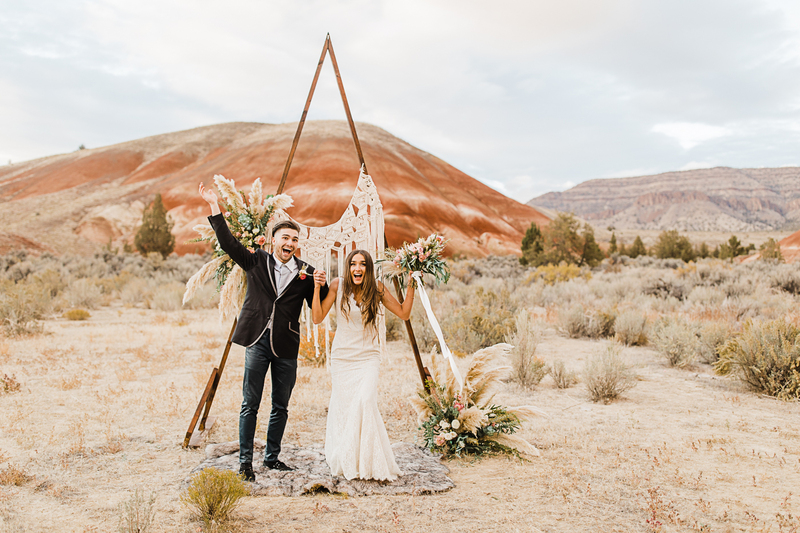 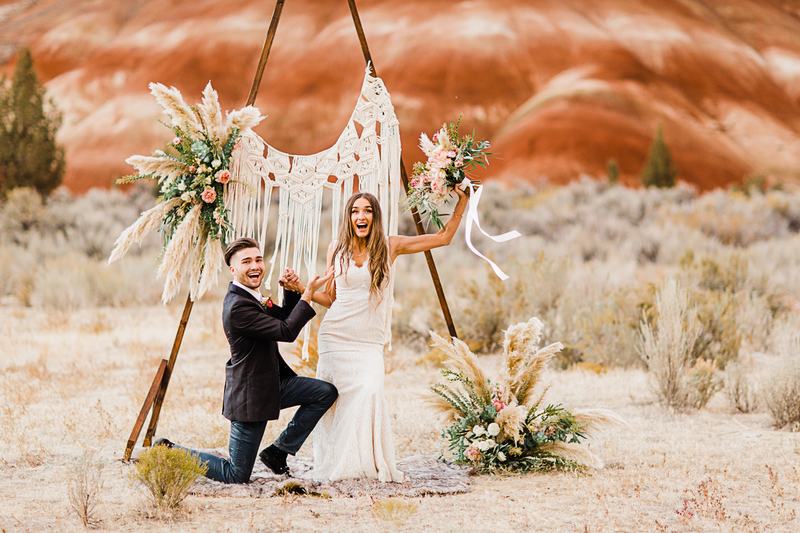 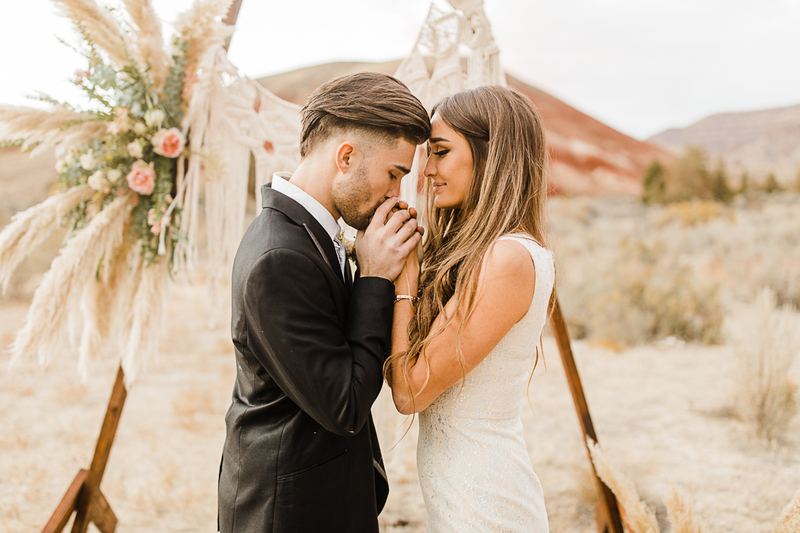 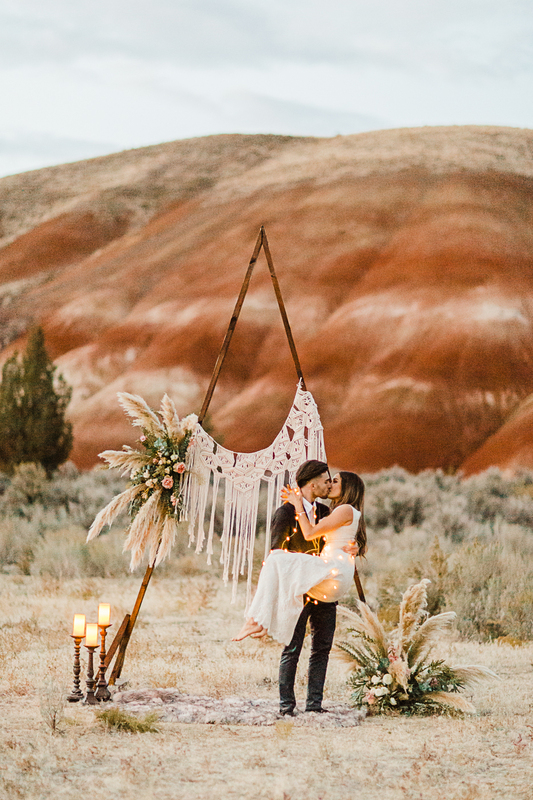 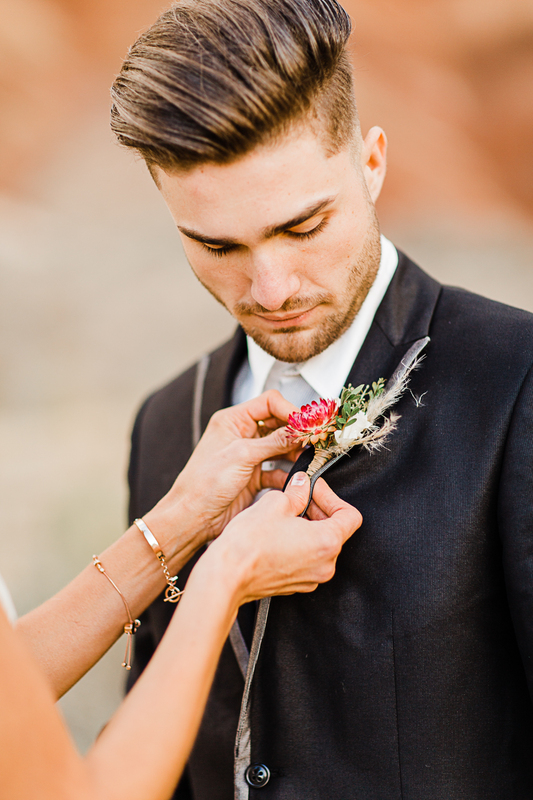 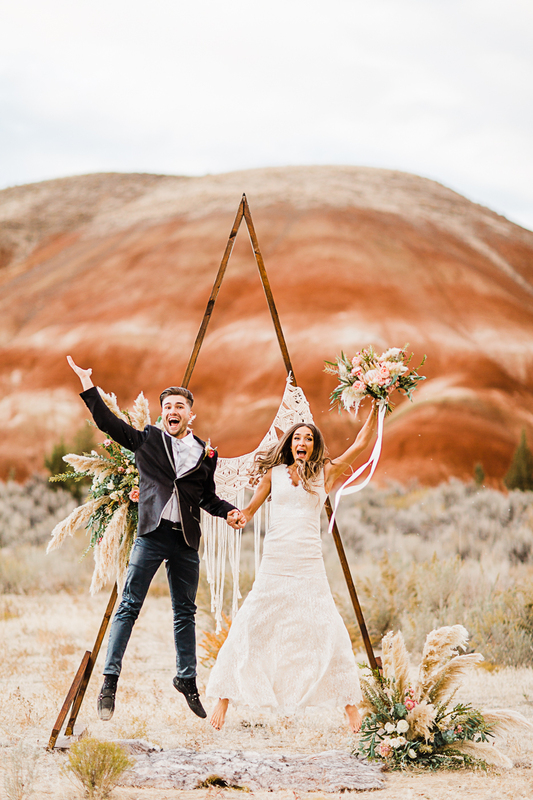 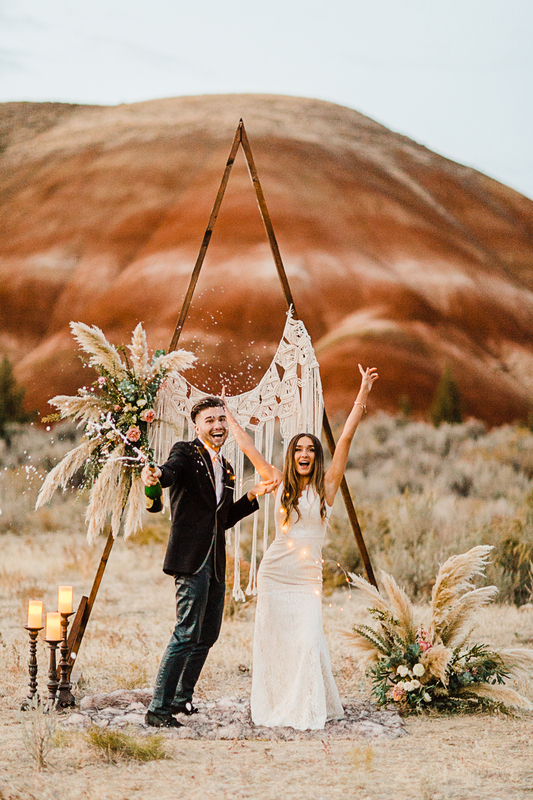 We are head over heels in love with this whimsical bohemian styled shoot at The Painted Hills. 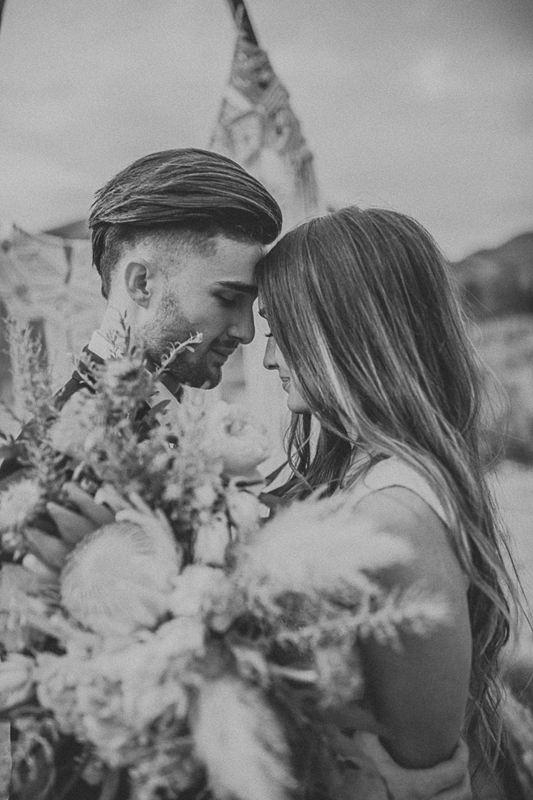 The models, Liliya and Joel, met on a summer day while out boating with friends, and it was love at first sight. 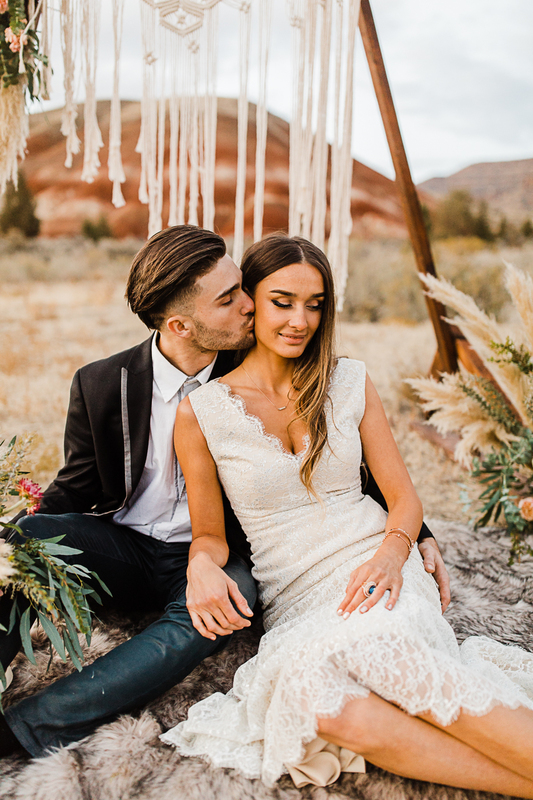 "You can feel the love and joy they share with each other," says photographer Viktoriya Bogdanova. 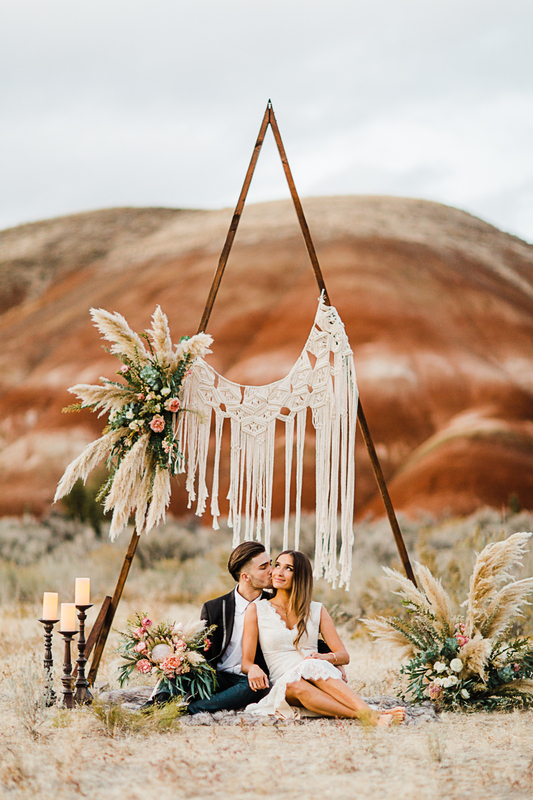 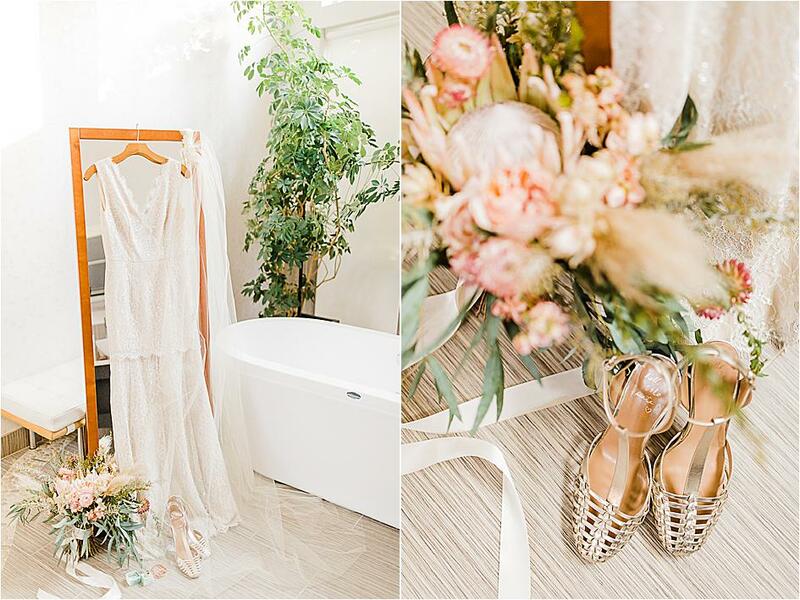 A lovely geometric ceremony arbor created by Igor Balchos of Arborology decorated with lovely florals and macrame from Elizabeth Blanchette created a dreamy setting. 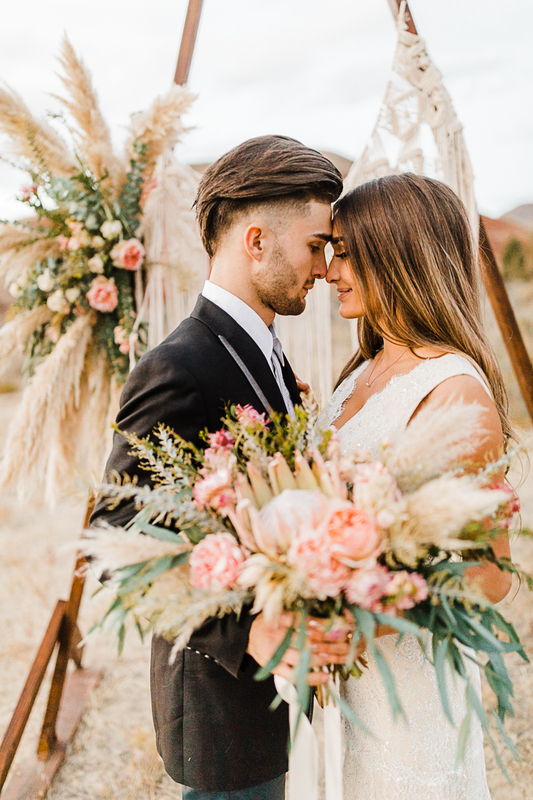 Twin Vines Floral crafted an incredibly unique bouquet for the shoot featuring vibrant pink blooms and texturized greenery. 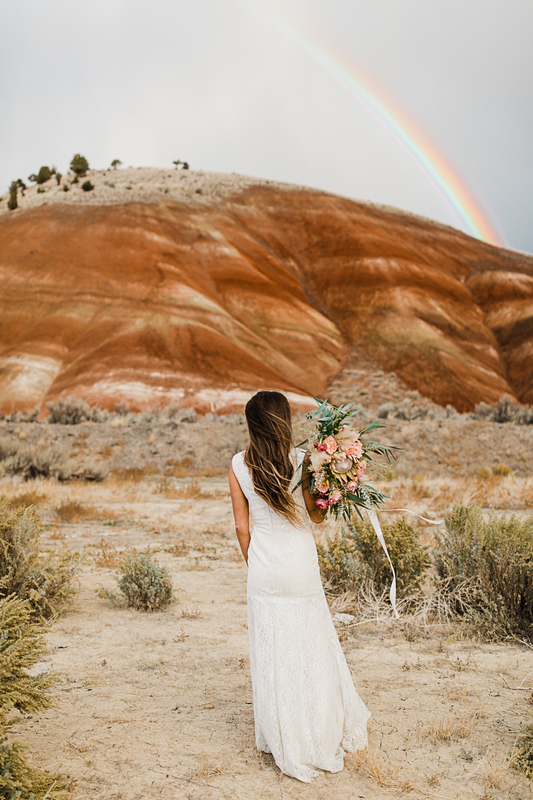 "One of the things I love about photography is getting to work with the elements that the weather presents us with," says Bogdanova. 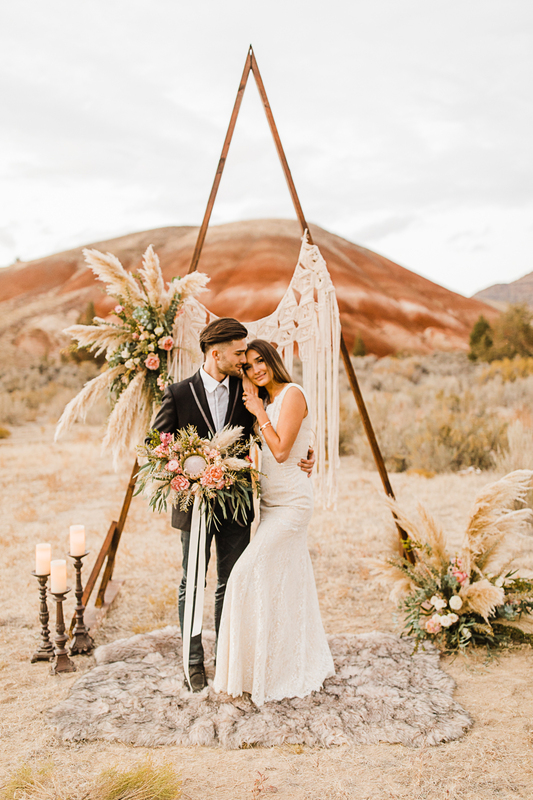 "It was cold and very windy when we arrived at the location, but just as we began to shoot, the wind stopped, and it made for such a fun and beautiful evening." 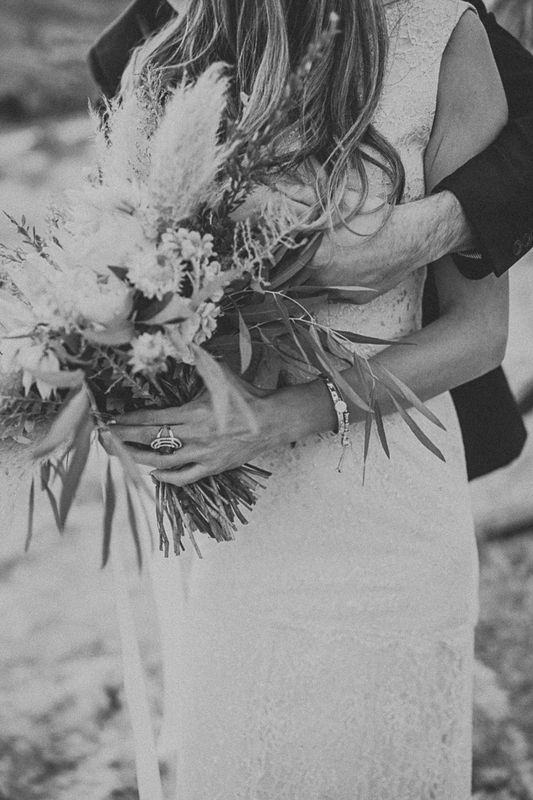 And beautiful it was. 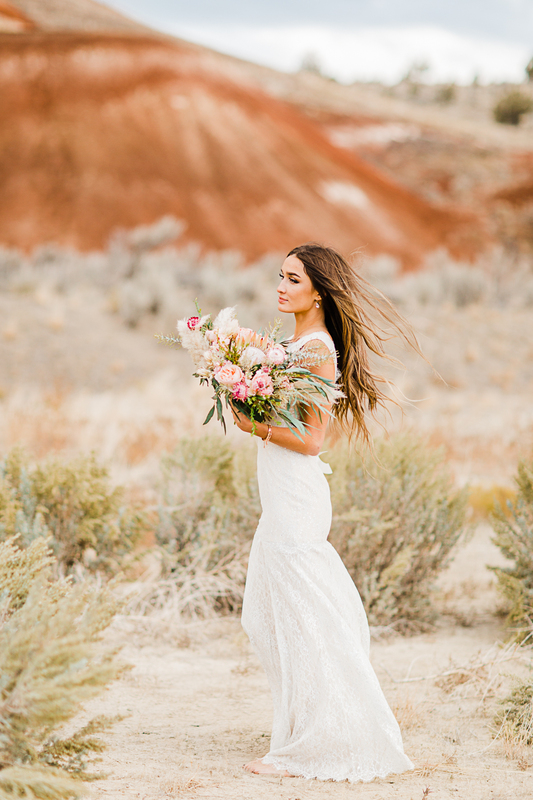 The rich warm tones of the hills blended beautifully with the crisp greenery and pops of pink in Liliya's bouquet, making for a lovely shoot. 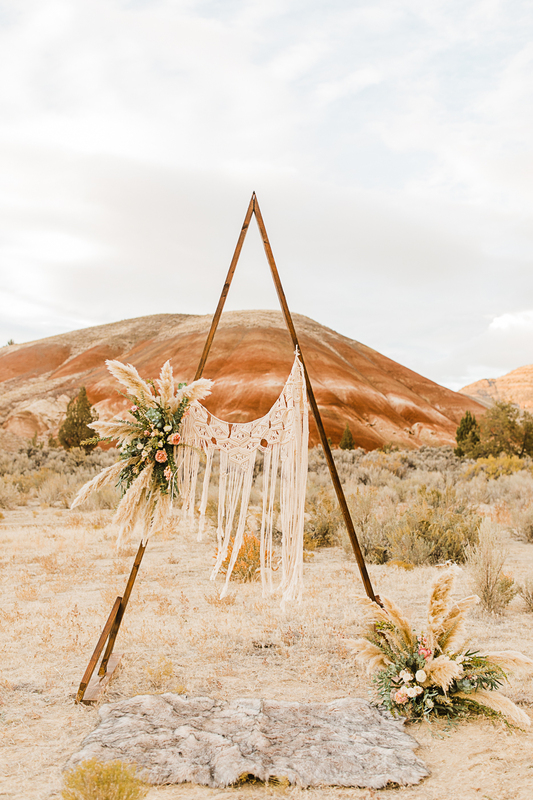 "When one of my friends considered moving to another state for a change of scenery, it made me think. 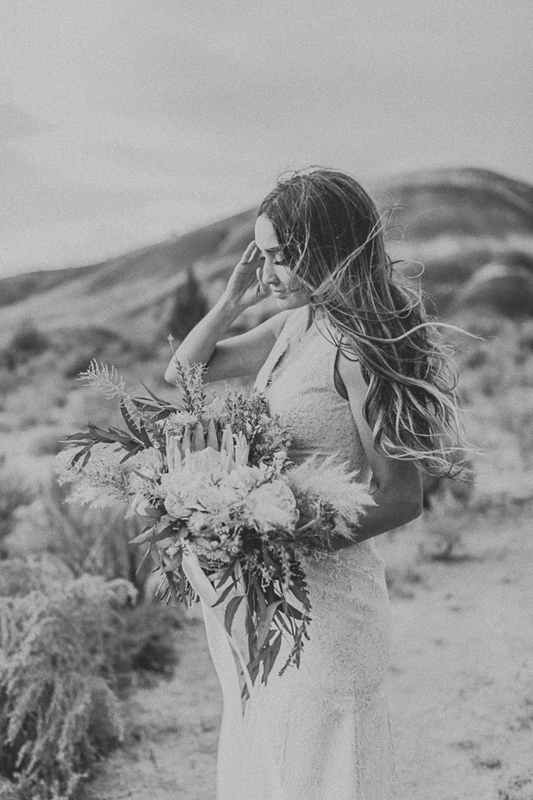 Why would I want to move away from where I call home? 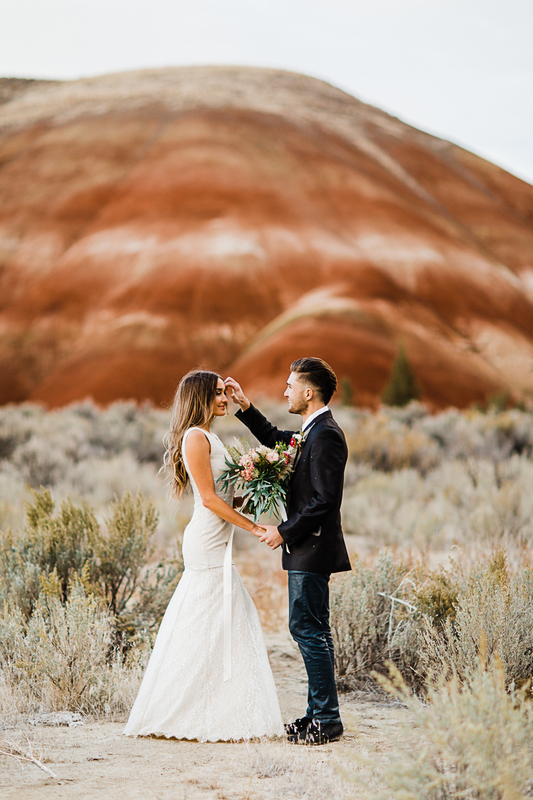 The more I thought about it, the more I realized that I’d have to be crazy to move away from the Pacific Northwest. 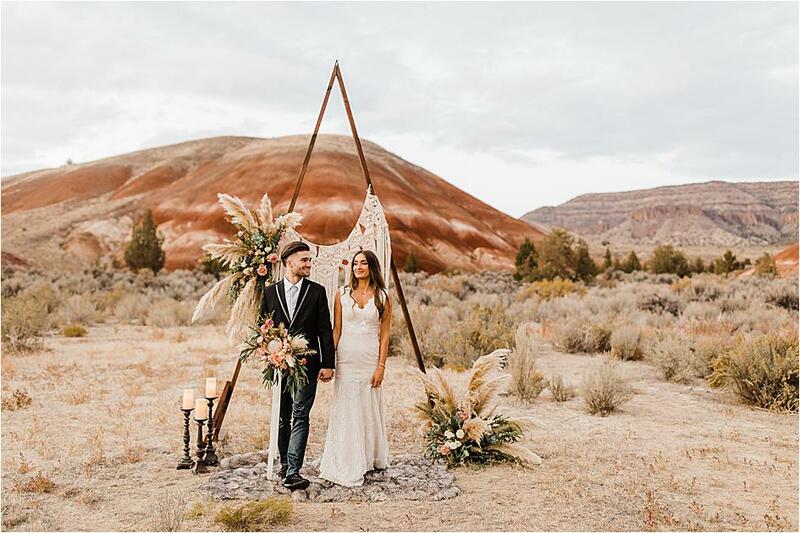 It offers such a variety of beautiful scenery, from all the incredible waterfalls, forests, and lakes, to the different mountains and deserts. 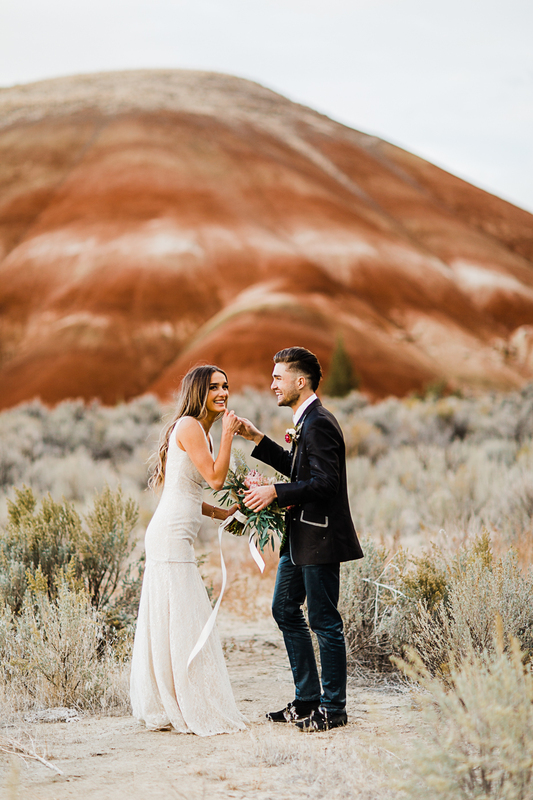 The Painted Hills in Central Oregon is one of my favorite places in Oregon, and it happens to be one of the seven wonders of Oregon," notes Bogdanova. 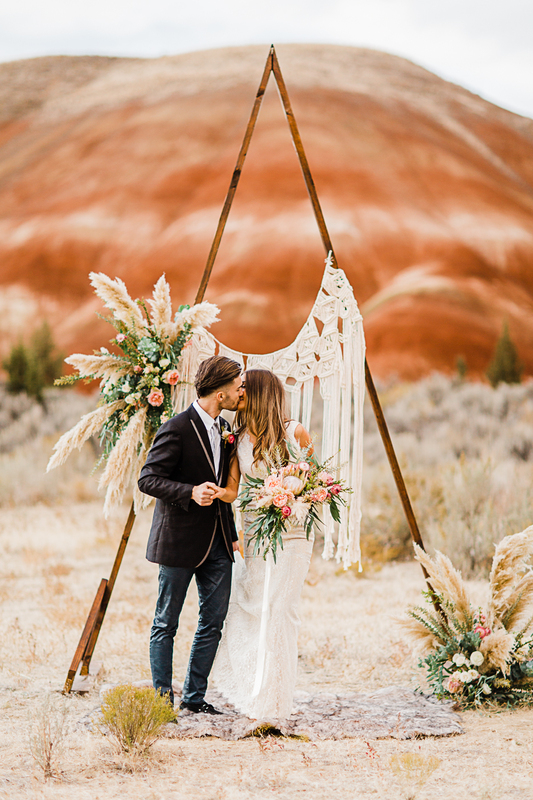 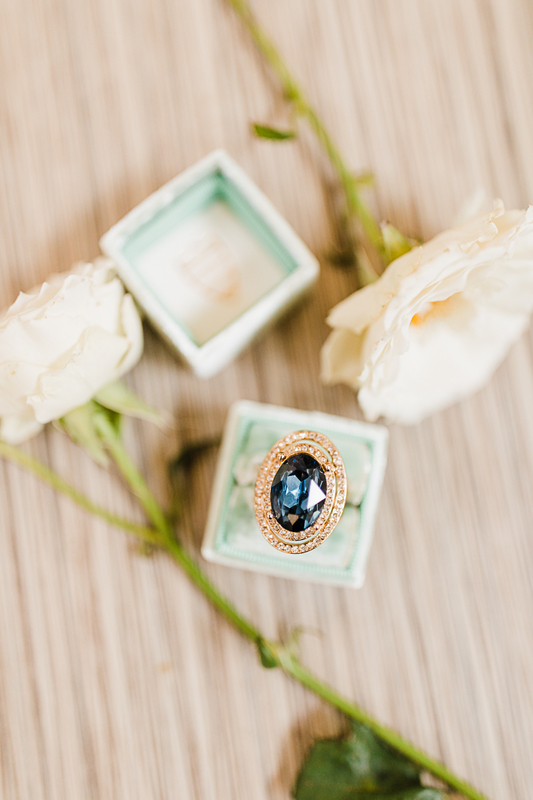 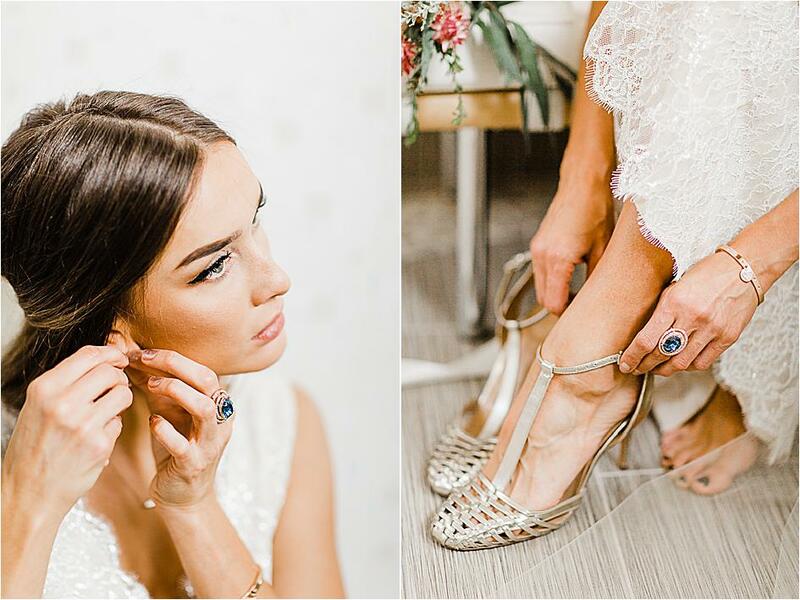 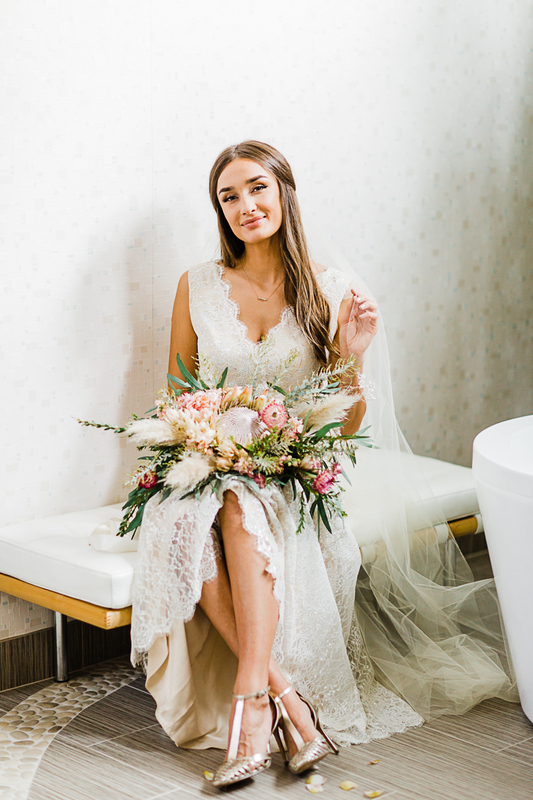 We make a point to follow the best and brightest in creative local wedding planning, and every Friday we round up our five favorite photos from the last week's feed.